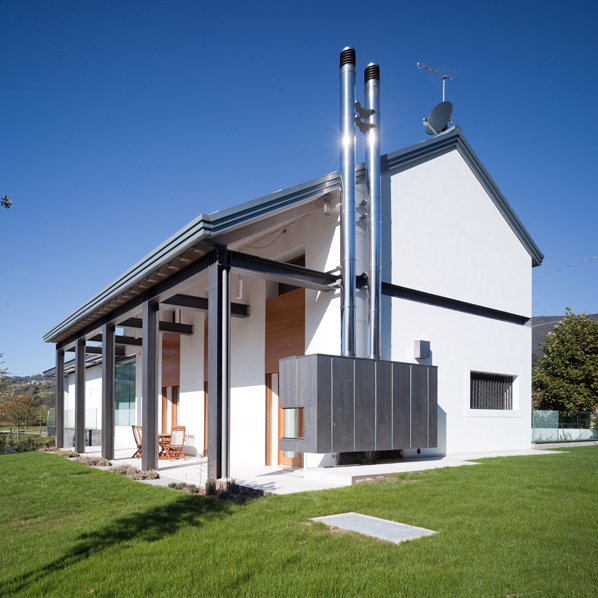 Nestling in the verdant countryside of Vicenza, Casa Costacurta reflects some meticulous energy planning, such as the rigorous formal choices regarding its exposure to sunshine, and the adoption of top-performance thermal insulation systems. 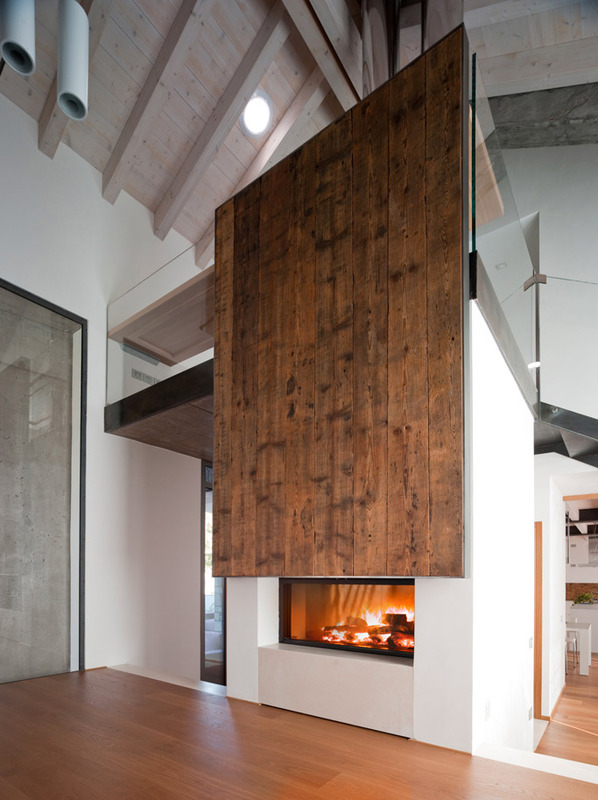 Here, the fireplace responds to needs that are not merely aesthetic (model Forma Wood 115). The sides and back of the cladding conceal outlets that conduct and diffuse the warm air. With MCZ’s patented Comfort Air system, the warm air can be channelled to a distance of up to 8 metres. An electronic management system controls the fans and the ambient temperature in the various rooms. 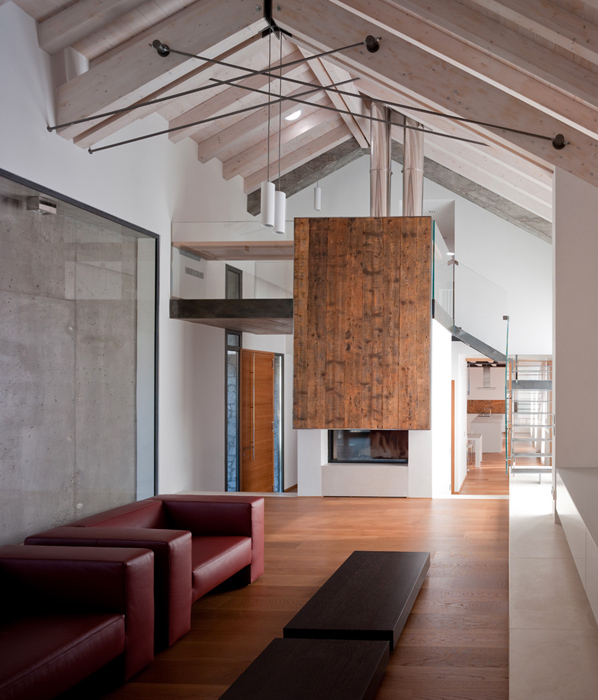 Hence a vast living area is heated by a single fireplace. As for aesthetics, we opted for a simple panel made from ancient waxed timber. Imposing yet elegant, it defines the ambience and harmonises with the gallery above. Giorgio Parise was born in Marostica, the "town of chess", in 1964. He graduated from the University Institute of Architecture in Venice with a dissertation on the new Palazzo del Cinema, which has been published several times. 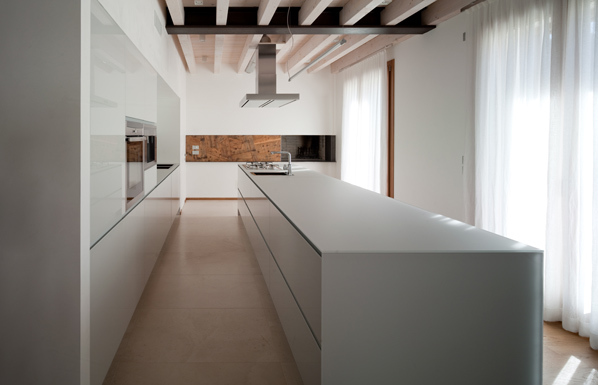 He works in the private sector, designing and building large properties, and interior design projects for renovation works in the historic centres in the Veneto area. 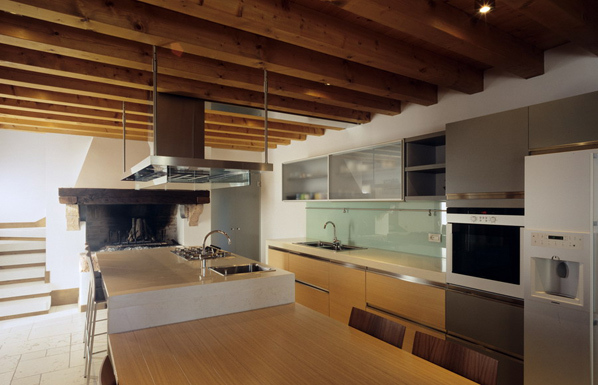 His main focus is on design and creative interior design solutions. He has always played an active role in cultural events in his home town and has shown a sensitive touch when operating in the graphics and design world.